Now that we’re more than a whole week into fall, I thought it might be time to talk about my summer reading [insert eye roll at myself]. It was another busy summer — but whose wasn’t? I managed to uncover a few gems in spite of that, and even, which I’m frankly quite proud of, read a non-narrative nonfiction book!! Why don’t we begin there? 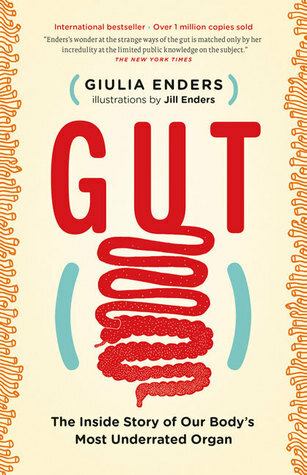 Gut: The Inside Story of Our Body’s Most Underrated Organ, by Giulia Enders. I’m honestly still a little surprised by the fact that I managed to read all the way through a non-narrative nonfiction book and — even more surprising — wave it enthusiastically in the faces of other people because I enjoyed it so much. I give all the credit to the author’s clear enthusiasm for her topic, which comes right off the page. For a piece of non-narrative nonfiction to hold my interest longer than an average essay or news article is saying something. And while I suppose that my enjoyment could just be indicative of my own navel-gazing tendencies, I still found this discussion of the digestive tract both engaging and fascinating. 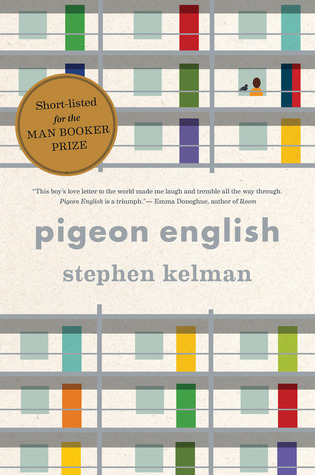 Pigeon English, by Stephen Kelman. I confess I picked this book for its awesome cover. Based on the true story of the murder of Damilola Taylor, Pigeon English is told through the voice of Harrison Opoku, a Ghanian immigrant in London with his mother and older sister. When a boy who lives on their council estate is murdered, Harri decides to investigate, enlisting the help of his friend Dean, whose expertise comes from watching the American television show CSI. Kelman created such a delightful voice for Harri! It was impossible not to love him. This book is a portrait of innocence in a gritty urban environment where children lose their innocence quickly; it broke my heart a little. Harri’s voice, and his sense of wonder and joy, were a delight, which is why I hate to talk about nits with this book. But in the interest of full and fair disclosure, Kelman includes occasional snippets told in the voice of a certain pigeon that Harri has befriended, and I truly think the book would have been better without these. It’s a small part of the book, though. 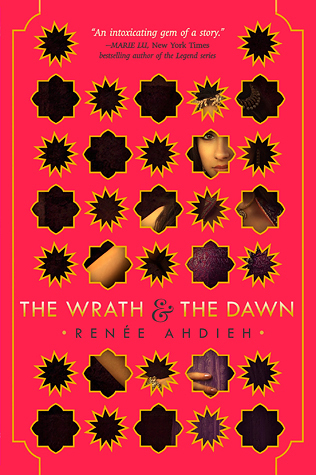 The Wrath and the Dawn, by Renée Ahdieh. This is a re-imagining of the legend of Scheherazade, the storyteller of One Thousand and One Nights. As in the legend, the caliph of Khorasan takes a new wife each night, only to have her executed the next morning. When this fate befalls her best friend, Shahrzad volunteers to marry the caliph, secretly vowing revenge, only to encounter in the caliph something completely unexpected. When I was investigating the book before reading it, I saw a bunch of gushing reviews from very young-looking girls on Goodreads, and I admit I was leery about the book because of this. May this not be the last time I prove the fangirls correct: this is young adult romance done right, and love is not too strong a word to describe my feelings for this book. In what I think is the first time ever in my reading career, I pre-ordered the second book before even finishing the first. What about you? What were your standout reads of the summer? This entry was posted in Books, Reviews, and Reading and tagged books, Giulia Enders, reading, Renee Ahdieh, Stephen Kelman, summer reading on October 3, 2015 by ms.grammarian.